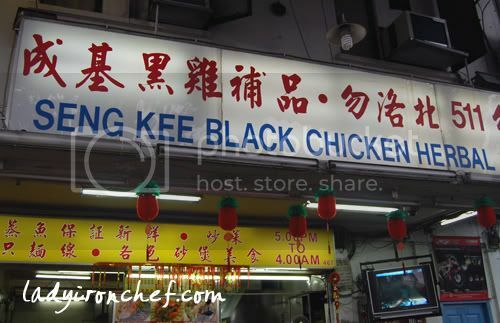 Seng Kee Black Herbal Chicken Soup is located just opposite Kembangan MRT station. I happened to chance upon this zi-char restaurant because my friends had cravings for their mee-sua. So another venture into the east side of Singapore for LIC, as i stay in the west and the east is so far away. But there are simple too much good food in the area, so you will be seeing more food from the east in the future! The zi-char store has all of its seat on the street, its rather cooling but when bad weather comes then it will be very difficult as i don’t think there are much shelter from rain. 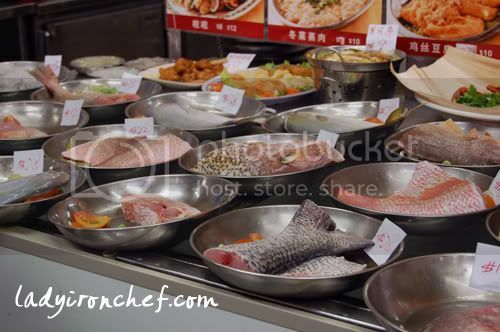 The store has quite a few selections of fish available for customers to choose, and with the method of cooking the fish. But we didn’t have any fish because we ordered crab already. The rendition of Mee sua at Seng Kee comes in a stronger flavour than the normal ones, with ingredients like pig kidneys, mushroom in it. The mee sua is smooth and silky to the mouth. We had 5 bowls for each of us, and i saw most tables ordering this dish and at $3.50 its definitely worth a try. $8 for an egg omelette dish at a zi-char store might be a tad too expensive, if I’m not wrong egg dishes usually are about 6 bucks? 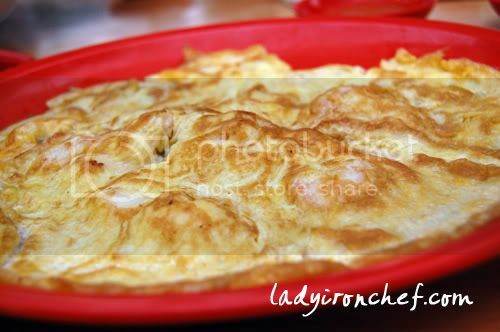 Nevertheless, the egg omelette is quite good and we finish it very fast. 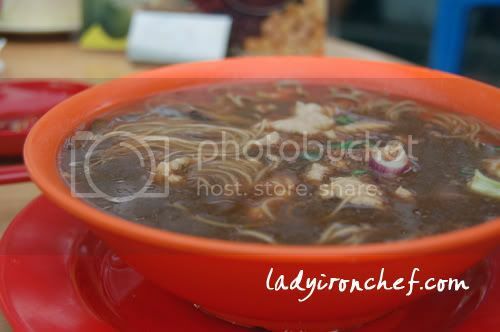 The crab bee hoon is usually done in soup, but here at Seng Kee they do it “dry”. We were quite shocked at the size of the crab when it came because usually crabs at zi-char stores goes in the region of $30 for 1kg? But the one that we had is $38, and the small crab that we had is definitely not 1kg. I felt ripped off as the price tag is certainly too expensive for the size of the crab. 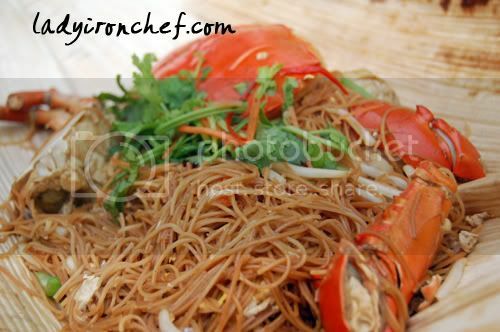 The bee hoon is not bad though, as it absorbs all the essence of the crab and all the juicy wet part is at the bottom of the bee hoon. Total bill including drinks for 5 person comes up to $76.80. At initial look, for a zi-char store and considering we had 5 person, its definitely not expensive. But, looking at the amount of food that we had, the crab bee hoon was definitely over-priced. I’m not too sure about their other dishes as i have not tried them and it will not be fair to judge base on this experience. 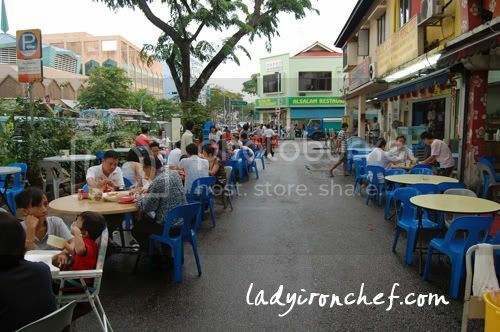 But their mee sua is worth a try, do give their crab bee hoon a miss. Their customer service was bad. The china national workers were rude. The mee sua was better than most places. But it doesn’t justify a second visit.